The Clifton Suspension Bridge as it was first imagined by Isambard Kingdom Brunel, the Project Engineer, in 1831. Do you know Homeopathy has been available in Bristol since the early 19th Century? We’re proud to look after this established service at the Portland Centre. Homeopathy first found a home at the Bristol and Clifton Homeopathic Dispensary on Upper Berkeley Place, which was instituted in 1832. It became increasingly popular from 1852, when Dr Francis Black moved the service to his premises on the Triangle, Clifton. That was 12 years before the Clifton Suspension Bridge was completed and Queen Victoria was on the throne! The service moved several times over the next few years, from Dr Henry Wilkins’ practice on Park Street to surgeon John Millard’s practice on St Nicholas Street, and again to Kingsdown, the Whiteladies, and briefly even Keynsham! A full breakdown of early Homeopathy in Bristol can be found on this wonderful website. 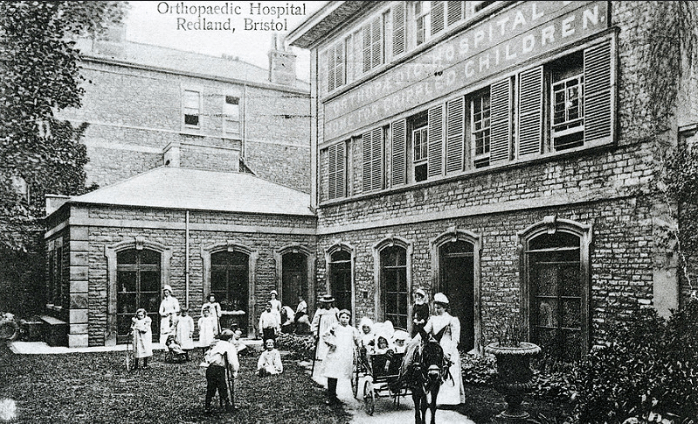 The Bristol Homeopathic Hospital joined a number of healthcare buildings in the Redland area of Bristol, including the Orthopaedic Hospital for Crippled Children, pictured here in 1908. By 1893, Homeopathy had accrued 1377 patients in the city. In fact, the service was so popular that in 1921 a new premise was commissioned to help deal with the surge in demand. 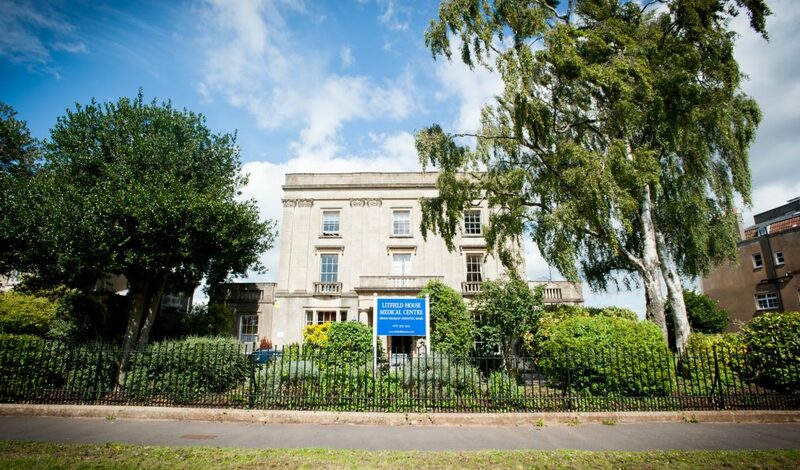 The Bristol Homeopathic Hospital first opened its doors in 1925. It was funded by Walter Melville Wills, and officially opened by Edward VII, Prince of Wales. We’re lucky enough to have the trowel he used during the ceremony in the Portland Centre office! Although it’s most commonly referred to under its principal name, the Bristol Homeopathic Hospital is also known as the Bruce Melville Wills Memorial, in tribute to Wills’ son who died in the Great War. Taking pride of place at the top of Cotham Hill, the building has become Grade II listed and its stunning facade acts as a reminder of its glory days. Alongside the building, Wills also paid for the creation and upkeep of the Bristol Homeopathic Hospital Gardens. He even used the same firm of outdoor architects who created his own gardens at Bracken Hill in Bristol, James Pulham and Son. The back garden at the Bristol Homeopathic Hospital – a view patients enjoyed throughout the 1990s. 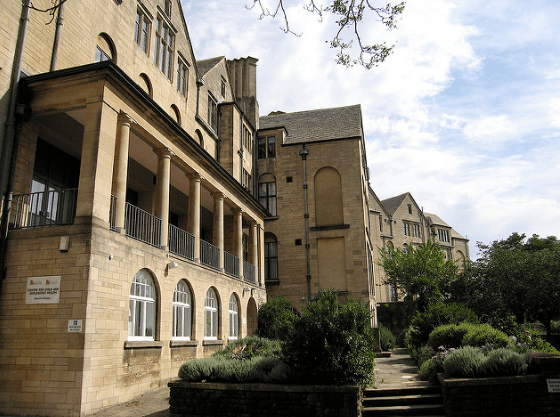 The Bristol Homeopathic Hospital continued to provide a full range of services, with lead clinicians including Robert Victor Cooke and Hamilton Bailey. In 1948, with the launch of the new National Health Service, the hospital became accessible to all – but it was in need of renovation. The bombing of Bristol during World War 2 meant the building was in need of repair, which quickly took place before the new service was introduced. The service proved to be popular, and in 1986, inpatient facilities were transferred to the Bristol Eye Hospital on St Michaels Hill. Outpatient services were moved to the ground floor of the Cotham Hill site, and into the laundry, which was renovated to provide a lovely space for patients for over 15 years. 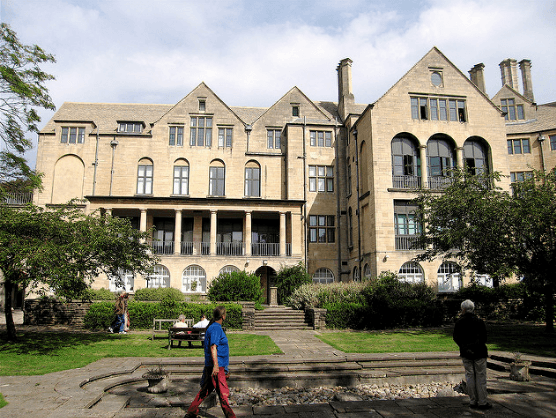 1994 saw another change when the building was sold by the NHS to the University of Bristol. The Homeopathy department was moved to the Annexe, where it continued to provide a valuable healthcare service in Bristol for another 10 years. It was during this time that Dr Elizabeth Thompson, CEO of the Portland Centre, began to practice Homeopathy in Bristol. Although access to it is now restricted, the Bristol Homeopathic Hospital Garden still remains today. The Portland Centre’s first home at the Litfield Medical Centre in Clifton Village, 2016. The NHS Homeopathic Service then took a quick trip to Hengrove and was delivered out of South Bristol Community Hospital from January 2013, until October 2015, when the Portland Centre took over the NHS Homeopathic Service. In October 2016, several CCGs including Bristol and North Somerset introduced new measures to limit patients referrals into the service. Under a process called Prior Approval, patients needed to receive special funding to see one of our Medical Homeopaths under the NHS. In order to uphold the tradition of accessibility, the we partnered with the British Homeopathic Association in May 2017 to deliver a low-cost Homeopathy clinic in Bath, to support accessibility for those people who cannot be seen under the NHS Service. In September 2018 the CCG made a decision to bring the NHS homeopathy service to an end. We will be able to see our NHS patients one last time until February 2019 before we say a final farewell to the NHS service. The good news is that we still offer a Medical Homeopathy service, albeit one that patients pay for. In addition to our low cost option supported by the BHA, we have a special Access Fund for people on disability benefits. Please get in touch to find out more.